Physical therapy is a part of any professional athlete's routine. It is quite common for those whose lives are dedicated to sports to get massages, acupuncture, chiropractic and a wide array of other forms of preventative and rehabilitative bodywork in order to maintain optimum performance. The same holds true for equine athletes. In this day and age, one would be hard-pressed to find a top trainer in any discipline who does not employ bodywork work of some kind in their training program to keep horses healthy and sound. As important as it is to include therapies in the overall wellness plan of an athlete (human or horse), often it can be just as important, if not more so, to include them in the process of transitioning into retirement to ensure long term soundness and musculoskeletal health. Tammy Brockman knows this better than most. After spending 27 years specializing in sports medicine and massage therapy for humans, from high school and college athletes to Olympic competitors, she has seen what massage and bodywork can do to help bring athletes back from injury and to prevent future injuries. It wasn't until she stumbled upon using massage therapy on horses that she truly began to appreciate how it could help them in a similar way. 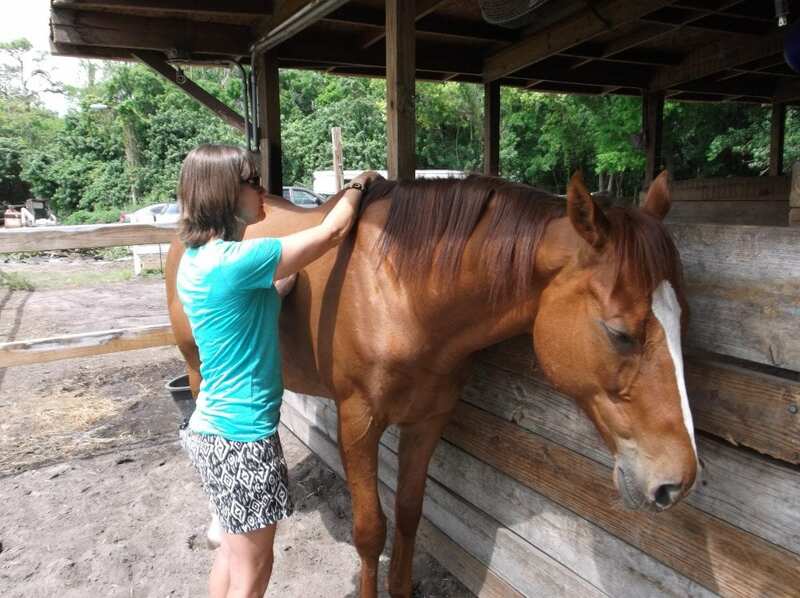 In 2014, Brockman put together an Equine Myofascial Release course and brought an instructor to Tampa to teach her and others the nuances of applying their professional massage techniques to horses. To further her knowledge, she also spent time at the track during training hours and races, watching how the horses move and what their routines are from stall to track and back. Just a few months later, Brockman learned of Equestrian, Inc., a retraining and adoption facility primarily serving the horses of Tampa Bay Downs. They also take in equine victims of neglect and abuse, as well as those that might otherwise be destined for slaughter via auction or other circumstances. The organization had fallen on hard times thanks to major storm damage. One of Brockman's specialties is working with horses that come to the organization with injuries requiring stall rest or limited activity. In a way, Brockman's professional life has come full circle. Her career as a massage therapist for humans included working with the top riders in the world. Now, she is working with the other athlete involved in the horse-rider partnership. This entry was posted in Aftercare Spotlight, Horse Care, NL List and tagged Aftercare Spotlight, Cosequin Presents Aftercare Spotlight, equine welfare, horse care, horse massage, Horse Welfare, Jen Roytz, Thoroughbred aftercare, thoroughbred retirement by Jen Roytz. Bookmark the permalink.